SCORE at The Roof seems to have promotions quite frequently, and one of them going on at the moment is the Black Monster. 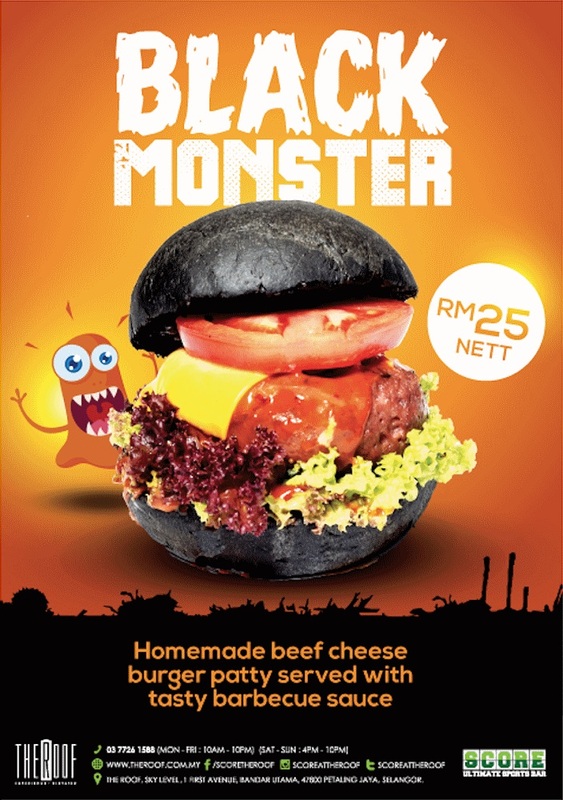 Priced at RM25 nett, the Black Monster is a homemade beef cheese burger served with curly fries and salad. 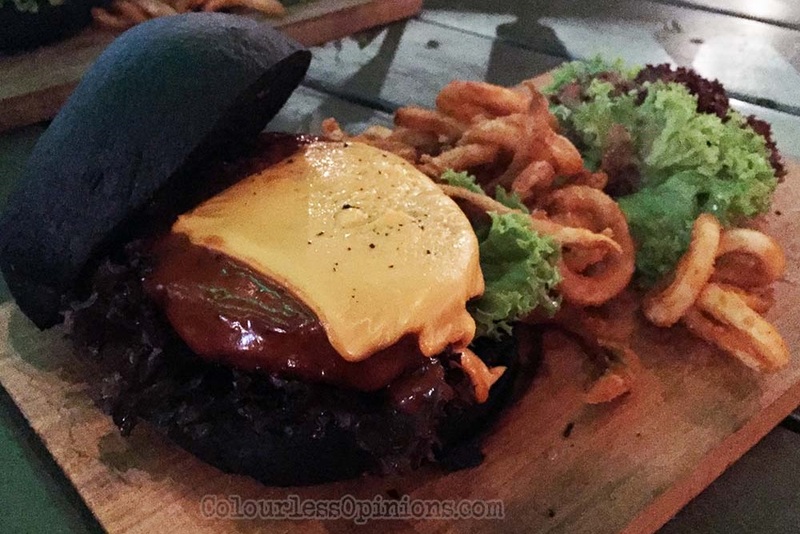 The beef patty is covered in barbecue sauce and sandwiched by charcoal buns. I had the privilege of trying the burger last weekend while catching the BPL new season kickoff and I was mostly satisfied with the burger. The recommended medium-well patty with the awesome barbecue sauce taste pretty good. The size of the burger is indeed quite a Monster, and I was more than stuffed after eating everything including the fries and veges on the side. Therefore, it’s not a bad value for its price tag. 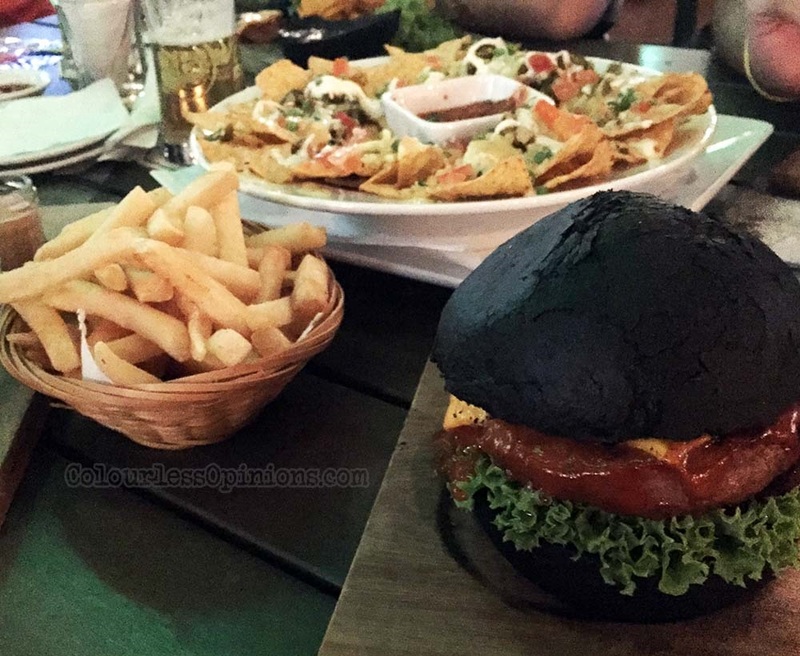 My only complaint was the Black, charcoal buns which were over-burnt and perhaps slightly too thick as well. The skin of the bun was shattering all over my hands (cutlery was actually provided but I preferred to use my hands). Also, this may sound gross for a food post, but the colour of my dump in the next morning might have been affected by the “darkness” of the buns as well. I thought it was just me, but the others who were with me also had the same experience. So if the buns can be greatly improved, I think the Black Monster could be a worthy addition to their main menu. SCORE is a sports bar on the top floor of First Avenue, a building right beside 1 Utama Shopping Centre in Bandar Utama, Petaling Jaya. They have a large projector screen for live football screenings, alcohol, food and the best nachos I’ve ever tasted in PJ. 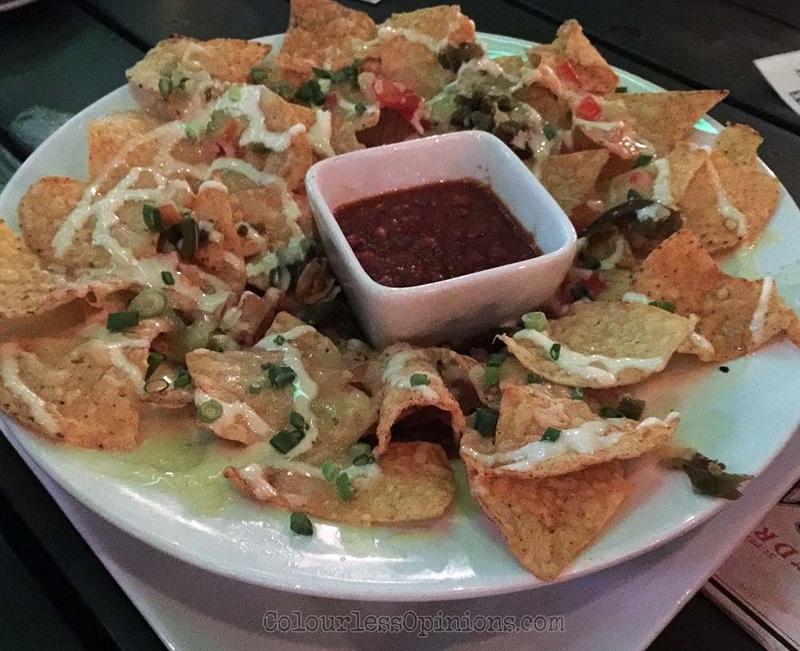 So if you feel like having some food and beer while watching your favourite team play after hanging out at the mall, this may be the ideal place for you.